Looking for a new and unexpected sound for your next day in the woodshop? 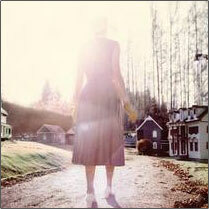 Patrick Watson just may be that sound you’ve been looking for. My 1st introduction to Patrick Watson was seeing him live. I had the pleasure of seeing him in concert a few months ago and was brought to tears and laughter all within the 1st two songs. I have since listened to a few of his albums and found I prefer to listen to his live recordings versus the studio recordings, thankfully I’ve found some on NPR and Youtube. Perhaps the best part of Patrick’s live recordings is his comic way of approaching them, they tend to enhance even the most simple chord. Live or not, Patrick’s unique sounds come from his use of unexpected and unconventional instruments such as a saw, a bicycle, and even spoons in his songs are purely delightful. And it’s not just the uniqueness of sounds that makes listening to his album an experience, but it’s also the lineup of his playlist. It’s a roller coaster of emotions for the listener. Visit Patrick’s Website at www.adventureinyourownbackyard.com. I’m a Patrick Watson fan for life, I hope you will be too.